Moto Z2 Force Launched In India; Phone With A Shatterproof Screen! Moto has launched a premium smartphone in India after a very long time. The smartphone market in India is a vibrant entity with a life of its own. Everything sells here. Right from the Rs. 1500/- bundled smartphones to the latest iPhone which costs over Rs. 1 Lakh! Mobile Internet is also undergoing a revolution here. Telecoms are literally stopping short of giving data away for free. Though Jio did it or almost 6 months! Nowhere in the world is data as affordable as here in India. As a consequence, smartphone sales are rising by the day. We Indian just can’t have enough smartphones and data to power through streaming content. Those long commutes suddenly become bearable, courtesy smartphone and affordable high-speed internet. Xiaomi unleashed their latest smartphones in India at a launch event held yesterday, throwing in a Smart TV for good measure. Following on its heels, the Moto Z2 Force broke cover and was launched in India today. Moto has launched a high-end phone after quite some time in India. Is it good enough to go against some of the most popular offerings available in the market? Let’s find out. Moto Z2 Force – Shatterproof Screen Take 2! The semi-modular Z2 Force is already available globally since July last year. The ‘Force’ in the name denotes that it sports a shatterproof display. In addition to protection against shattering, the technology also claims to protect the display against the wear and tear of everyday use. In keeping up with the times, the Z2 Force features a dual camera setup and is powered by the still-flagship Snapdragon 835 processor. Though the smartphone is available in 2 RAM variants globally, India will get the 6GB RAM + 64GB Storage version. There’s no word on the 4GB RAM or 128GB storage versions yet. The primary dual camera setup comprises two 12-megapixel sensors with 1.25 µm pixels, PDAF, laser autofocus and a dual tone, dual-LED flash. Selfies are taken care of by a 5-megapixel camera which has a dual tone flash of its own. Connectivity features include dual-band Wi-Fi 802.11 a/b/g/n/ac, WiFi Direct, Hotspot, Bluetooth 4.2 LE and NFC. It features a Type-C 1.0 reversible USB connector which supports USB OTG. It also features a magnetic connector on its back to connect with various modular accessories. 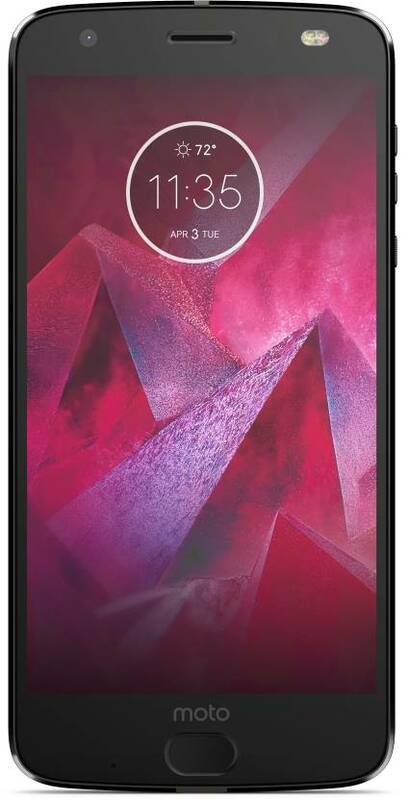 There is no 3.5mm headphone jack and the phone supports Moto’s TurboCharge technology for faster battery top-ups. The Moto Z2 Force will go on sale on Flipkart at 12:00 midnight tonight. It is priced at Rs. 34,998/- which puts it squarely in competition against Mi MIX 2 and the crowd favourite, OnePlus 5T 64GB version. Both these phones have comparable specifications and similar prices. The Moto Z2 Force has a hard road ahead. Not only does it have to overcome the 5T’s popularity, but it also has to contend with the Mi MIX 2 which uses ceramic in its construction. The Z2 Force’s modular design does not work to its advantage, at least here in India. People are put off by the high prices of the ‘Mods’ and rarely bother to change the included Mod. Right now the Indian smartphone market is dominated by the Chinese smartphone makers. There are four Chinese manufacturers in the top 5 smartphone sellers in India and Moto is not one of them. While Moto’s lower and mid-level series smartphones sell in decent numbers, the premium offerings have not fared so well in the recent times. Does it really make sense for Moto to launch a premium smartphone in a market where it is unlikely to succeed? Let us know your opinion in the comments below. Jio Phone Now On Amazon; Irresistible Jio Offers On Redmi Note 5 & Note 5 Pro!